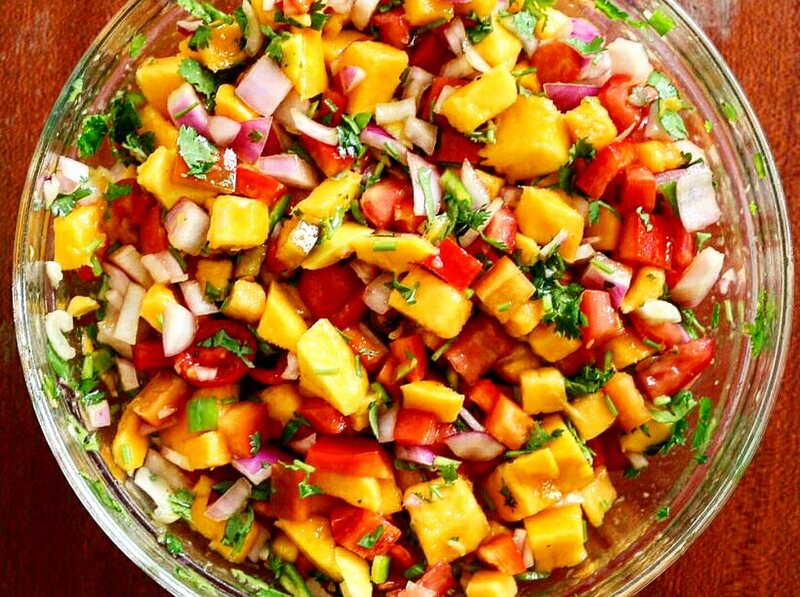 Mango season is here and plenty is going around relatively cheap.Naturally mangoes are sweet and juicy,perfect for my spicy mango salsa that balances off the sweet with a bit of heat. If you like the ever fresh ‘kachumbari’ then this one is for you. 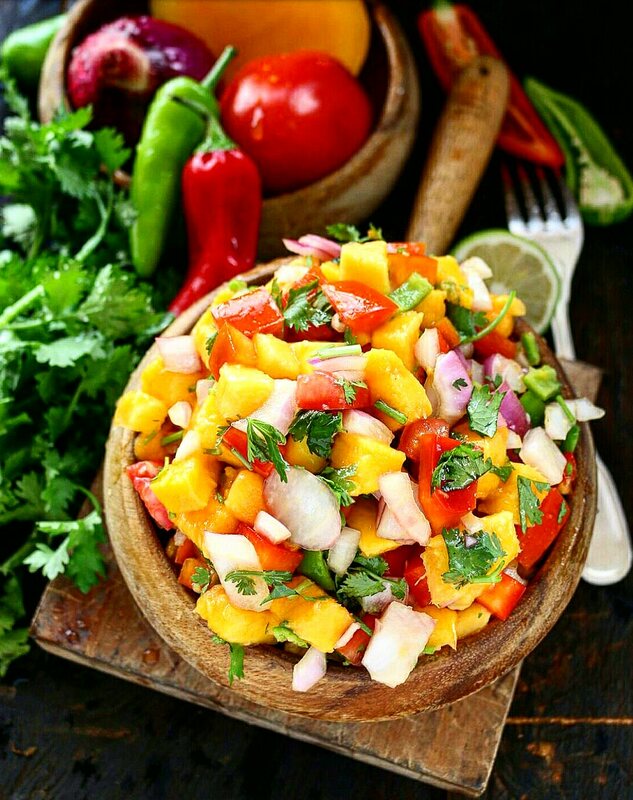 Fresh,vibrant,colourful,sweet&spicy with a bit of tang,my mango salsa is both delicious and packed with flavour and nutrients. Mango always wins prepared as a side and goes well with anything grilled or roasts,from beef,pork,chicken,fish,lamb and are exceptionally well with shrimps or prawns.I at times give it a quick blitz in my blender whenever in need of a healthy dipping sauce whenever i am having chips. 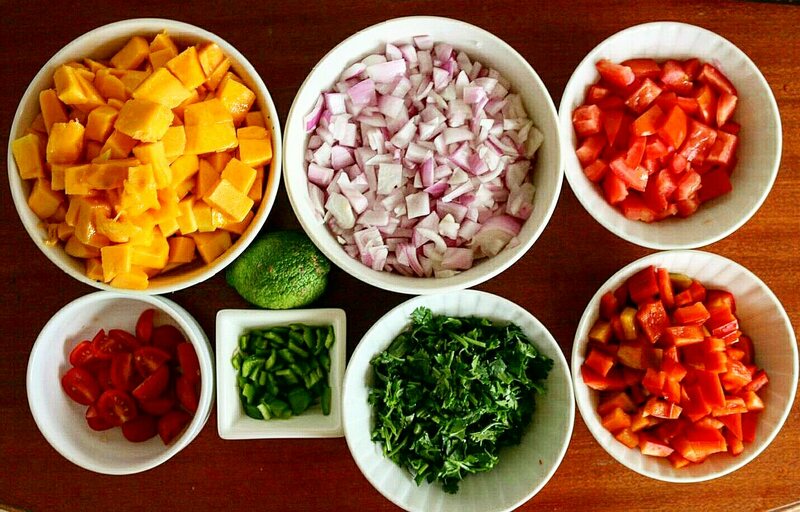 Always use fresh produce when preparing your salsas or salads,I also find that my salsa tastes much better when let to sit the fridge for a few hours as this allows for the flavours to mingle and marry with each other. I love how the subtle flavour and sweetness from the mangoes hit you and just as it settles in,the heat from the jalapenos kick in just the way I like it. 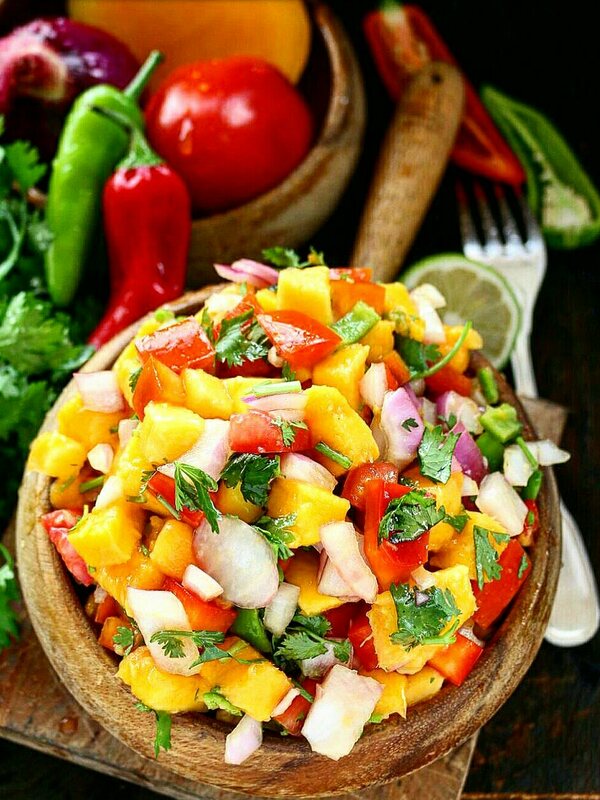 All you need are ripe mangoes,tomatoes,red onions,jalapeno peppers,coriander adding tomatoes and lemon juice for some acidity. 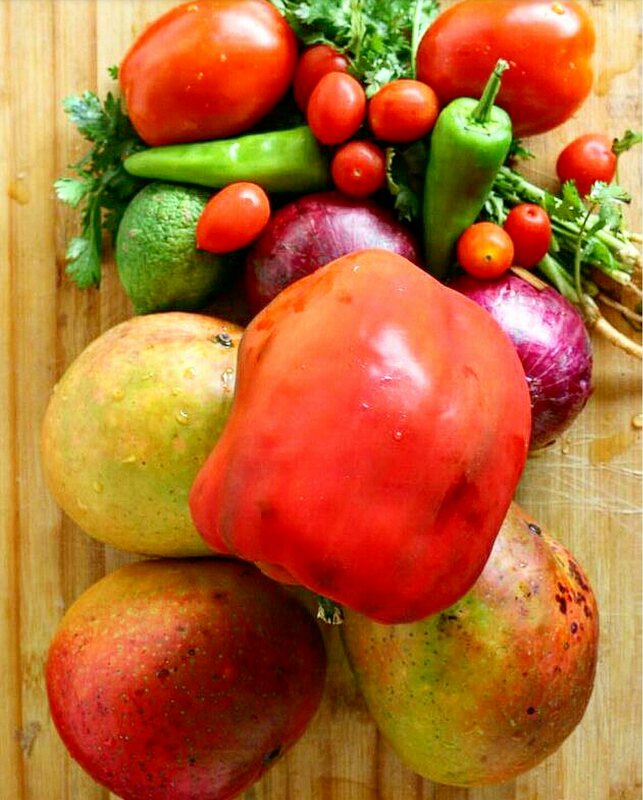 Wash your fruits and vegetables with cold running water. 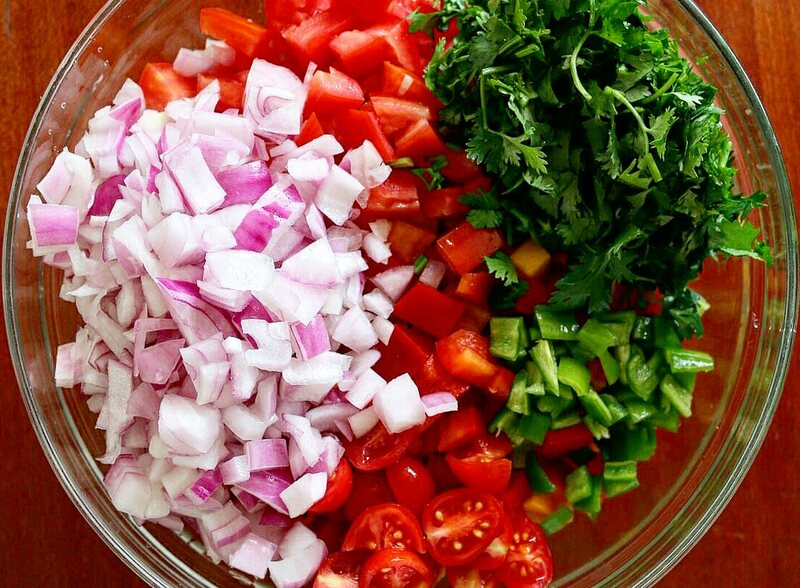 Chop your tomatoes and remove the fleshy seedy insides.This is to avoid having a wet soggy salsa as the mangoes will release their natural juices. Tried this out a couple of weeks ago…soooooo…delicious. No chilli for me though. Didn’t know I can add red bell pepper, definitely adding that the next time I make this.